Ensemble Alliance members George Deeb (Managing Partner at Red Rocket Ventures), Mike Kelly (CEO at Ora Interactive), Brent Payne (CEO at Loud Interactive), Katy Lynch (President at SocialKaty) and Mike Santoro (President at Walker Sands) will make up this panel of digital all-stars, who will power this "Open Mike Night" office hours session to answer any and all startup questions you may have for your business, as it relates to startup strategy, fund raising, staffing, design, development, search engine optimization, pay-per-click marketing, community managment, social media marketing, public relations and more. Come and get free advice for your business from proven digital experts across their various fields of expertise. 5:30-6:00 Pizza Party & Networking (courtesy of Ensemble). Please bring your own drinks. We would like to thank our friends at TechNexus for hosting this event. This will be a great opportunity to check out their brand-new 50,000 square foot startup collaboration space at the historic Chicago Civic Opera Building. 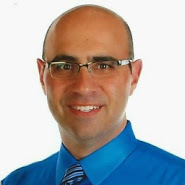 Any questions can be directed to George Deeb via the contact form on the Red Rocket Website. Please RSVP on this Eventbrite page, so we know how much food to order. And, thanks for helping us spread the word about this event by clicking the social sharing buttons. Thanks! A heartfelt congratulations to all of today’s graduates. It is a true testament to your dedication and deserved honor for all of your hard work and commitment to get to this point. But, I hate to be the bearer of bad news. Now, that you have graduated, the real hard work has just begun. 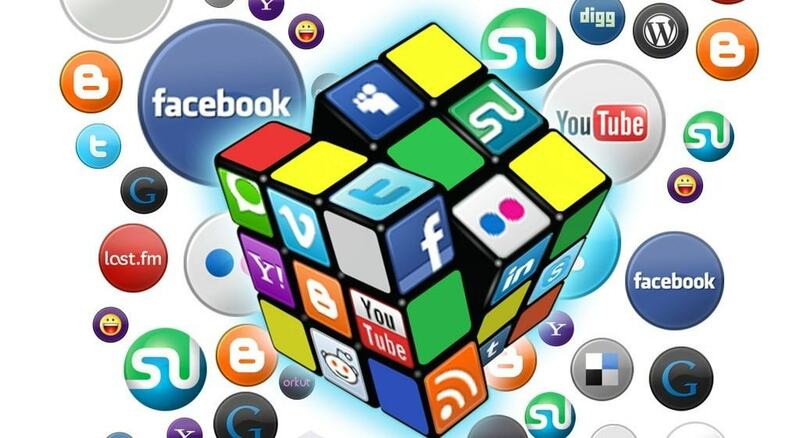 Businesses have long struggled to assign ROI to social media marketing efforts. To address this, there is a new trend towards predictive social analytics, which we will discuss in the post. To assist me here, I sought input from my colleague, Jeff Revoy, the CEO at Viralheat, an early-mover in the predictive social analytics space. To date, marketers have largely relied on engagement metrics, like follows, likes, shares and retweets, to serve as key performance indicators of social media effectiveness. This strategy divorces social media marketing from a business’s bottom line, as likes and comments don’t necessarily equate to purchases. And, sponsored content and ads, which have been the primary tactics businesses have used to stay top-of-mind with consumers, can be expensive and obtrusive, using push vs. pull techniques. Enter predictive social analytics to the rescue, which finally allows businesses to anticipate potential purchasers via social media and capture more leads using human intent and sentiment analysis technologies. So, how does it work? Let’s look at an example using hashtags in Twitter. 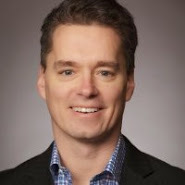 When a Twitter user tweets #moving or #iamengaged, predictive social analytics tools identify these specific tweets as indicators of future human intent and sentiment (in this case, as potentially pre-qualified leads for moving or wedding services), and then imports them into a marketing or sales automation platform like Salesforce.com, Marketo, Hubspot or Eloqua. Then, if you were the moving company or wedding service in this example, your sales team would then reach out to these users via relevant tweets on Twitter, instead of cold calling them. Today, there are an array of social media management suites available, that provide social publishing, analytics and monitoring. From free-trial versions like Sprout Social, TweetDeck or HootSuite, to pricey large-scale enterprise-ready systems like Radian 6, which require big budgets and months of training. But, these systems largely spit out a fire hose of un-actionable social data, and are not focused on identifying relevant sales leads. The reason I reached out to Viralheat for this post, is the fact they were the first ones to tackle this “social data to sales leads” opportunity, which I thought was an interesting next evolution in social media marketing. So, in addition to the social publishing, analytics and monitoring tools which most platforms offer, ViralHeat has added these predictive social analytics tools, which takes social media monitoring and turns it into lead-generating workhorse for your business. More importantly, predictive social analytics is leading to high-ROI case studies, like this one for Viralheat client, Men's Warehouse. It suggests that Men's Warehouse is driving revenues of around 20-30x the cost of their predictive social analytics software (assuming they have around 2MM unique monthly visitors to their website, 2% of which have been identified as coming from predictive social analytics efforts and such traffic converts into sales at normal e-commerce conversion rates of around 3% with an estimated average ticket of $50). If you have any other questions here, Jeff has gratiously made himself available. Feel free to contact him at 866-832-2197 or via the contact form on the Viralheat website. Oftentimes, entrepreneurs are very protective of their equity, and try to keep 100% ownership for themselves. Usually, this is fine, provided that important key parties (e.g., employees, partners) are appropriately motivated to help you succeed. Sometimes that motivation comes in the form of cash compensation (e.g., lucrative sales commission plan, profit share plan), and sometimes that comes in the form of equity or equity-linked incentives (e.g., stock, options, warrants). The more times you pass GO in Monopoly, the faster you can collect $200 to reinvest into your game. So, high rolls and speed are clearly in your advantage. That is no different in entrepreneurship. The faster you are moving, the bigger distance you are building on your competitors, gaining customers and market share before they do. 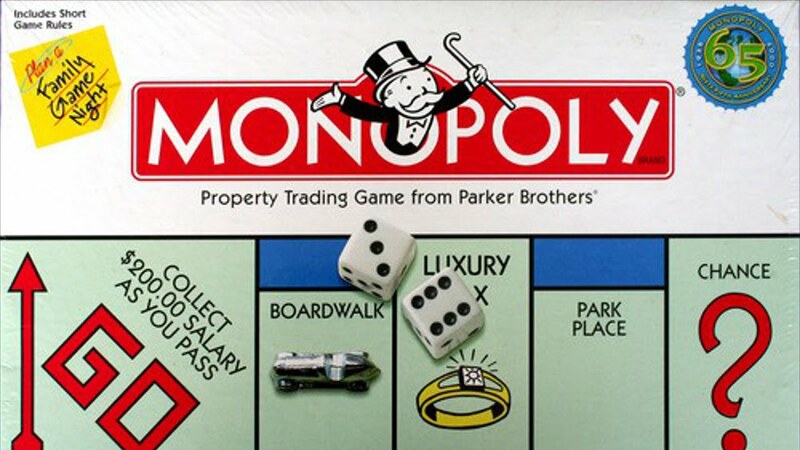 While many Monopoly players may shy away from investing $400 in the Boardwalk property, the most expensive property in the game. They are being short-sighted. If you think about your long term investment on that property, you will earn a competitor-crippling $2,000 in rent every time another player lands on that spot, after you have built a hotel at that location. Putting a ton of cash into your hands, to reinvest into the game, while draining your competitors’ cash coffers as the same time. Not many competitors will be able to survive that onslaught. So, don’t under-invest in your startups, and always put on your long-term lenses. When I play Monopoly: (i) it is a land grab to attain first mover advantages, buying up everything I can afford; (ii) I try to bias properties in the same color family (e.g,. all the red properties), in order to start developing the properties before my competitors start developing their properties; and (iii) I try to build up long stretches of sequential investment (e.g., all the neighboring red and all the yellow properties), that would make it near impossible for a competitor to not land on my properties, and pay me rent. Startups are the same thing: you want to look for first mover advantages, you want to keep your lead and you want to look for ways to cripple your competitors, with competitive barriers to entry. Without contradicting the “faster is better” section above, you don’t want to build your business too quickly that the wheels end up coming off the bus!! For example, I never spend any money in Monopoly, that takes my cash resources down below what I feel is a safe level, to fend off competitors, and live another day. If I see a bunch of competitor “land mines” in my immediate future (e.g., high odds I land on their properties to owe them rent), I want to make sure I have enough cash resources to pay those rents, to stay in the game without have to sell or mortgage my other properties to do so, crippling me in the process. Making an investments too quickly, can end up hurting you, if you can’t drive a near-term ROI from them. First of all, the railroad properties in Monopoly have a capped payout (at $200 in rent if you own all four railroads), compared to New York Avenue (the same $200 initial cost), having a $1,000 rent if developed with a hotel. And, secondly, if you think about real life, what does a hotel operator know about running a railroad company? Pretty much nothing!! So, as an entrepreneur, if the same investment in two different opportunities, can yield materially different returns, focus on the higher return option. And, as always, stay clearly focused on your core competencies in your business, and don’t stray into areas where you have limited expertise. Building a startup is pretty much taking a chance, where the higher risks you take, the higher your potential rewards will be. But, like in the game of Monopoly, you never really know what is going to happen, until it happens. So, while you may be hoping for an “Advance to GO” card to collect a much needed $200, you may get dealt a “Go Directly To Jail” card. So, make smart bets, and hope for the best. In Monopoly, the Community Chest cards could have you engaging with the local opera house, stock broker, bank, hospital, doctor, city repairmen and beauty pageant. Guess what, building a startup is no different, in that you are building your business as part of an ecosystem with other entrepreneurs, investors, mentors and service providers. You are not in this battle by yourself. Tap into your local ecosystem for help. The section title pretty much says it all. You will never be successful if your hands are cuffed, sitting on the sidelines. Build your business ethically, and never cut any corner that could end up back-firing in your face. Hopefully, you are not only a better entrepreneur after reading this post, but you are also a better Monopoly player!! Be sure to read this companion piece on Startup Lessons from Scrabble. I was lucky enough to be involved with two startups that were both sold to $1BN revenue businesses: iExplore was sold to TUI Travel, and MediaRecall was sold to Deluxe. In both cases, the investors were excited to get an exit and return on their investment, and the founders were excited about joining up with a big company to help accelerate growth. But, despite the best of intentions of parties on both sides of the transaction, integrating a startup into a big company can present numerous challenges which we will discuss below. Sales vs. Marketing for Startups? It Depends if B2B vs. B2C. Sales and marketing planning are my favorite part of building any company, as they are the key drivers of the company’s revenues. The lack of a solid sales or marketing plan is typically the #1 reason a business fails, as any shortcomings here will result in revenues and profitability falling short of goals. So, this area requires intense focus for any startup to succeed.